The lowest barrel has been fired more often. 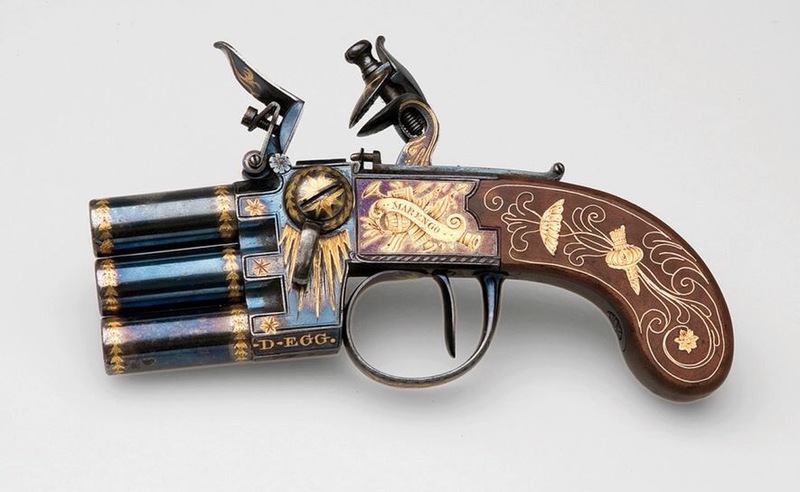 Interesting to note the pistol is made by a London gunsmith DERS EGG. Also notable is how much has been packed into a small weapon tap selection of the barrels and a safety catch as well as First Empire styling.